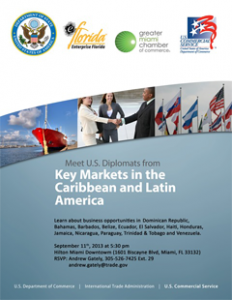 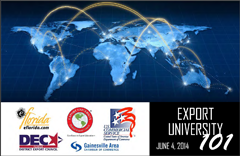 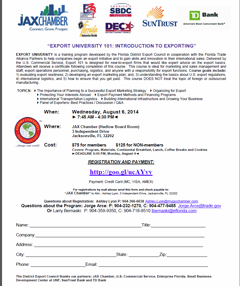 Export University is the Florida DEC’s public education program. 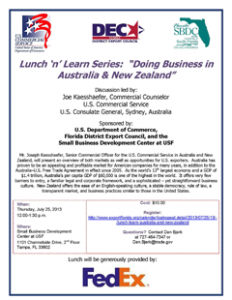 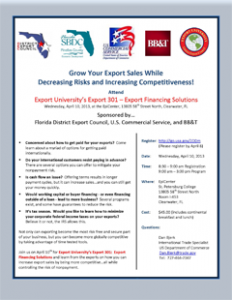 Each seminar is designed to enhance your “export expertise” and provide you with knowledge and advice to help you succeed in the global marketplace. 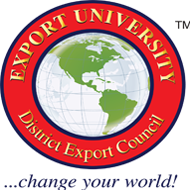 Export University instructors are current exporters-people in the business, so you are always assured to get the most relevant and current information. 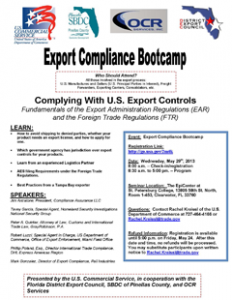 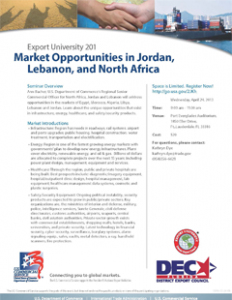 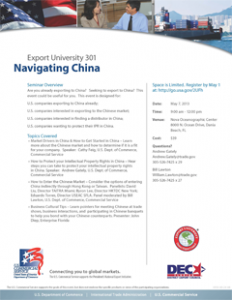 Please visit our Trade Events and News sections to learn more of upcoming Export University seminars.